The sheer popularity and reputation of La Banquise make it a must-see on any trip to Montreal--the atmosphere is bustling around the clock (they're open 24 x 7) and, well, what's not to like about fried food topped with cheese then drizzled in gravy? 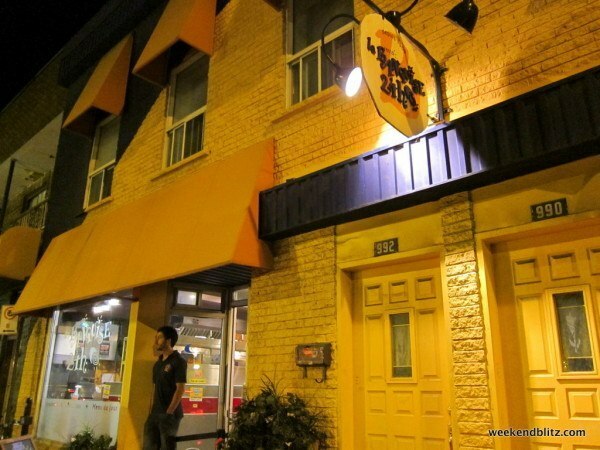 We didn’t order dessert at Phayathai (link to review) to save a little bit of room to at least try the classic Canadian dish poutine on our visit north of the border. With a quick Google search of something like “Poutine Montreal,” you can’t help but notice that La Banquise is one of the most popular hits. It seems like a crowd favorite with many great reviews and a large number of devout fans speaking quite highly of the fast food diner. So, we biked a little outside of downtown to give it a whirl. When we arrived around 11pm, there was a line out the door of the greasy-smelling diner. The restaurant was loud and full of life, an interesting atmosphere for a diner on a Saturday night. We were seated outside shortly, where the air was fresher but the beer service was non-existent (they don’t serve beer outside? No license for that?). Because it was McCown’s first foray into poutine, we ordered LA CLASSIQUE (6.25 CAD for a small), instead of one of the many varieties with pepperonis, mushrooms, or ground beef — more than 28 combinations to be exact (you’ll surely find a favorite). The hand-cut fries arrived soaked in a great gravy sauce with huge chunks of cheese curds. Even though we ordered it just to try it, we inhaled the whole dish. If you’ve never had poutine, expect the amazing mix of hot, crispy and salty fries mixed with a very creamy cheese then all topped off with a thick gravy that holds it all together. It was delicious and a must-try on any visit to Canada, but I don’t think you’ll find yourself craving the heavy snack every day. 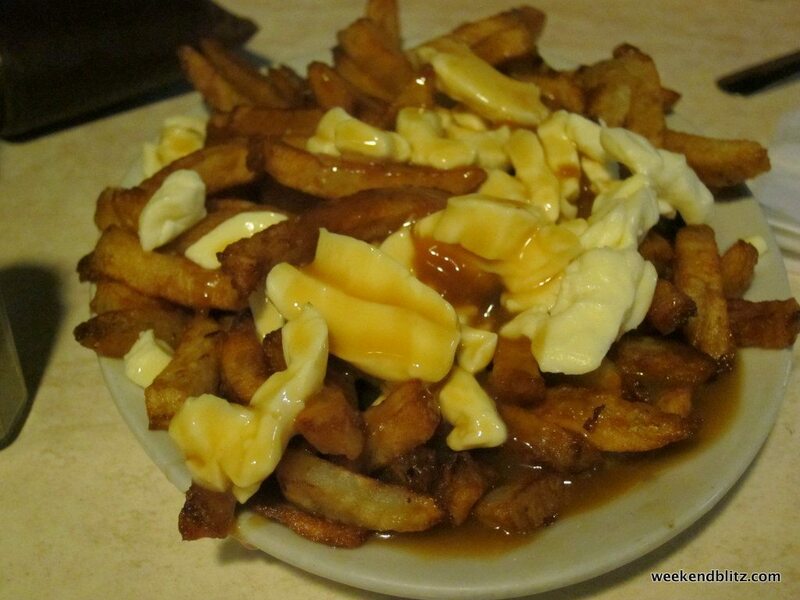 BOTTOM LINE: The sheer popularity and reputation of La Banquise make it a must-see on any trip to Montreal–the atmosphere is bustling around the clock (they’re open 24 x 7) and, well, what’s not to like about fried food topped with cheese then drizzled in gravy?